Robot & Frank is a 2012 American science fiction comedy-drama film directed by Jake Schreier and written by Christopher Ford. Set in the near future, it focuses on Frank Weld, an aging jewel thief played by Frank Langella, whose son buys him a domestic robot. Resistant at first, Frank warms up to the robot when he realizes he can use it to restart his career as a cat burglar. It was the first feature film for both Ford and Schreier and received critical acclaim for its writing, production, and acting. It won the Alfred P. Sloan Prize at the 2012 Sundance Film Festival, tying with the Kashmiri film Valley of Saints. The robot was created by Tony Gardner's special effects company Alterian, Inc.
Set in the near future, an aging ex-convict and thief named Frank Weld lives alone and is experiencing increasingly serious mental deterioration and dementia. Frank's son Hunter, an attorney with a family of his own, grows tired of making weekly visits to his father's home, but is reluctant to put his father into full-time care, so he purchases a robot companion, which is programmed to provide Frank with therapeutic care, including a fixed daily routine and cognition-enhancing activities like gardening. Initially wary of the robot's presence in his life, Frank warms up to his new companion when he realizes the robot is not programmed to distinguish between legal recreational activities and criminal ones, and can assist him in lock-picking. Together, the two commit a heist in order to win the affection of the local librarian, Jennifer: they steal an antique copy of Don Quixote from the library, which is being renovated and turned into a community center in the wake of declining interest in print media. In the meantime, Frank's daughter Madison, who is away on a philanthropic trip in Turkmenistan, learns of the robot and returns to convince her father to get rid of the machine, which she finds ethically objectionable. Frank insists on keeping the robot, and they commit one last heist, stealing jewels from Jake, the rich young developer at the head of the library renovation project. The police become involved and begin to question and monitor Frank, who maintains his innocence, feigning deathly illness so that Hunter will return to see him. In order to cover his tracks, Frank is faced with the decision of whether to wipe the memory of his robot, even as his own memory rapidly deteriorates. Frank goes to the library where he discovers that Jennifer is his ex-wife, which he had forgotten. 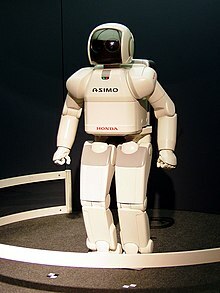 He then returns home where the robot convinces him to wipe its holographic memory; it argues that it is not a real person and its sole reason for existence is to help Frank, which it can best do by helping him avoid jail. Frank is then sent to a "Brain Center", where he receives help in coping with his dementia. The police do not recover the jewels that, as Frank implies in a note to Hunter, are hidden under the tomato plants in the garden that the robot made. This was the first feature film for both Ford and Schreier, who were friends and classmates at the New York University Tisch School of the Arts. After graduation, Schreier directed music videos and commercials for companies like Absolut Vodka and Verizon. Around 2008, the two began discussing a feature-length project to collaborate on and chose the screenplay that had been Ford's senior thesis at Tisch, which Schreier had helped produce. This evolved into the screenplay for Robot & Frank. Ford had originally begun conceptualizing the story for the film in 2002. He and Schreier were interested in the rapid development of technology and its impact on the daily life of ordinary people. Unlike more dystopian portrayals of the rise of technology in modern cinema, the filmmakers wanted Robot & Frank to explore the subject without any particular moral undercurrent. According to Schreier, technology is "not bad or good but it will change the way we relate to each other. There’s no stopping it." The futuristic smartphones and tablets featured in the film were designed by Justin Ouellette of Tumblr, and the robot was created by Alterian, Inc., a Los Angeles-based effects company notable for their costume design for Daft Punk. The filmmakers wanted to emulate the style of caretaker robots made in Japan, and the design also needed to allow a human actor inside the robot suit, played by Rachael Ma. The film was shot in 20 days on a budget of 2.5 million dollars. Filming took place in the summer in upstate New York. The library is the Rye Free Reading Room in Rye, New York. According to Schreier, the heat caused the person inside of the robot suit, dancer Rachael Ma, so much discomfort that she had to be replaced with another actress, Dana Morgan, for two days of filming. Though Ma was initially tasked with providing Langella with the robot's lines, it became impossible for her to perform both the physical acting and lines simultaneously, and the task was given to Langella's nephew, who was a production assistant on the set. The film received mostly positive reviews from critics. Rotten Tomatoes gives the film a score of 86% based on reviews from 128 critics. The site's consensus is "Led by a brilliant performance from star Frank Langella, Robot & Frank works as both a quirky indie drama and as a smart, thoughtful meditation on aging." Kenneth Turan of the Los Angeles Times called it "charming, playful, and sly" and praised the first-time filmmakers' technical polish and choice to focus on classic themes of aging and human frailty. Turan subsequently named Robot & Frank one of 2012's best films. Peter Travers of Rolling Stone praised the "deceptive simplicity" of the film and singled out Langella's performance as "a master class in acting." Noel Murray of The A.V. Club, while critical of what he saw as a film "more concerned with telling a story and moving an audience than challenging anyone," recommended it overall as "sturdily crafted" and well-acted. The film won the Alfred P. Sloan Prize at the 2012 Sundance Film Festival, tying with the Kashmiri film Valley of Saints. ^ a b c d Wortham, Jenna (August 10, 2012). "From the Future, a Subtle Spark of Recognition In 'Robot & Frank,' Technology of the Not-So-Distant Future on Display". The New York Times. Retrieved September 9, 2012. ^ Handelman, Jay (April 4, 2012). "'Robot & Frank' offers an easygoing, gentle charm". Ars Sarasota. Retrieved June 14, 2012. ^ Pizzello, Chris (August 30, 2012). "Director Jake Schreier talks 'Robot and Frank' and dirty laundry". The East Valley Tribune. Retrieved September 9, 2012. ^ "Behind the Robots in 'Robot & Frank'". The New York Times. August 17, 2012. Retrieved September 9, 2012. ^ Thompson, Luke Y. (August 23, 2012). "Director Jake Schreier Gets (Robot &) Frank With Us". The Nerdist. Retrieved September 9, 2012. ^ Turan, Kenneth. "Movie review: 'Robot & Frank,' an odd couple with a twist". Los Angeles Times. Retrieved September 9, 2012. ^ Turan, Kenneth (December 19, 2012). "Top 10 Films of 2012". Los Angeles Times. Retrieved December 19, 2012. ^ Travers, Peter (August 16, 2012). "Robot & Frank". Rolling Stone. Retrieved September 9, 2012. ^ Murray, Noel. "Robot & Frank". The A.V. Club. The Onion. Retrieved September 9, 2012. ^ "Alfred P. Sloan Feature Film Prizes Awarded to Robot & Frank and Valley of Saints at 2012 Sundance Film Festival". Sundance Institute. January 27, 2012. Archived from the original on June 26, 2012. Retrieved June 14, 2012. This page was last edited on 15 March 2019, at 08:57 (UTC).